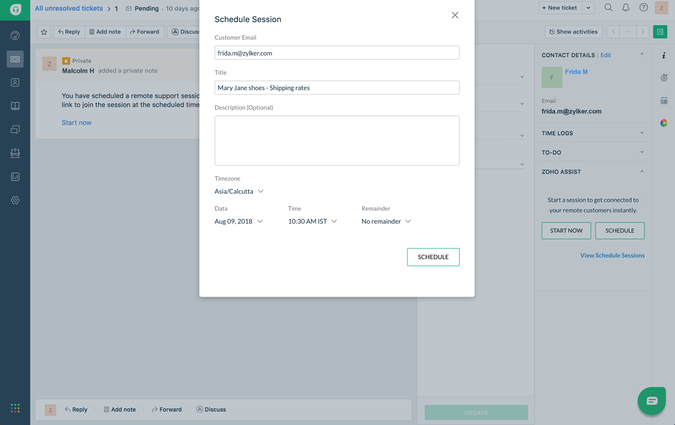 Integrate Freshdesk with Zoho Assist, a cloud-based remote support software which allows technicians to start or schedule remote support sessions to resolve issues on a remote desktop. 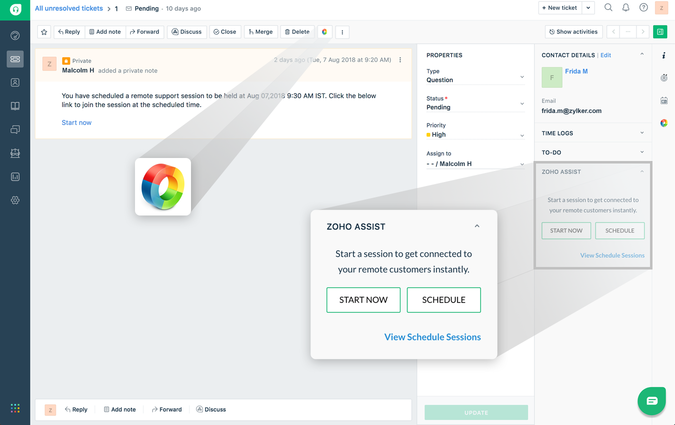 Initiate instant and scheduled remote support sessions to access and troubleshoot your customer's computer straight from your Freshdesk tickets, using Zoho Assist. 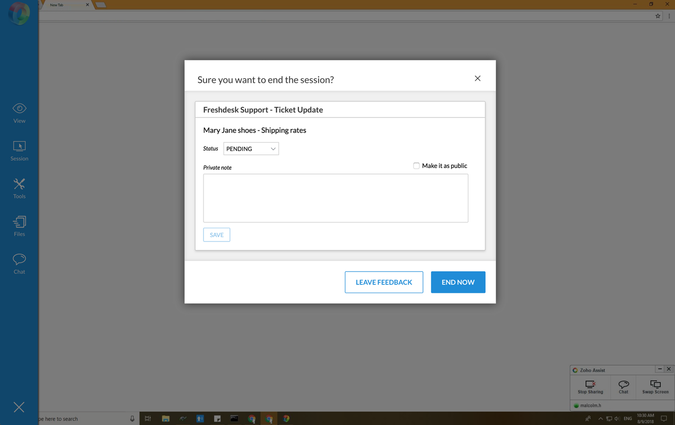 Once a remote support session is complete, you can update the ticket status and add notes to every ticket. 1. 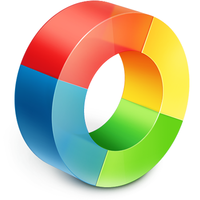 Transfer files to your customer's computer. 2. Navigate between multiple monitors of the remote customer. 3. Chat with your customer at any time during a live session. 4. Remotely reboot and reconnect to the computer. 5. Use Ctrl+Alt+Del on the remote computer. 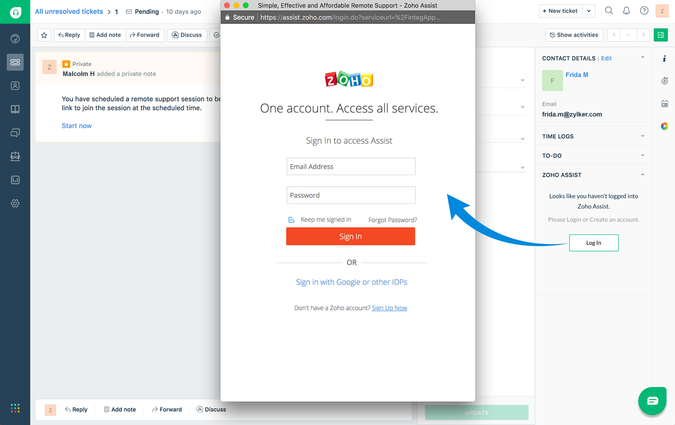 STEP 1 : Log in to your Freshdesk account and search for Zoho Assist Remote Support. STEP 2 : Click Install and select the domain name(.com/.eu/.in) that you have been using with Zoho Assist to complete the integration process. STEP 1 : Go to Settings > Integrations. 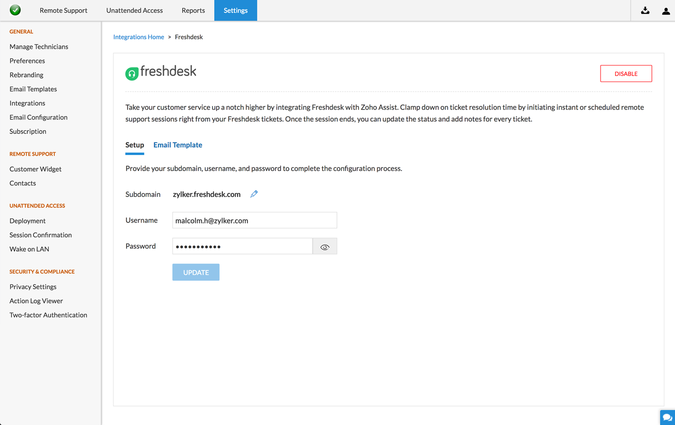 STEP 2 : Click Configure beside Freshdesk integration. STEP 3 : Fill in your subdomain, username, and password to complete the configuration process. Once you have completed the above mentioned steps, you can start or schedule a remote support session by clicking the Zoho Assist logo from the Freshdesk ticket menu bar.